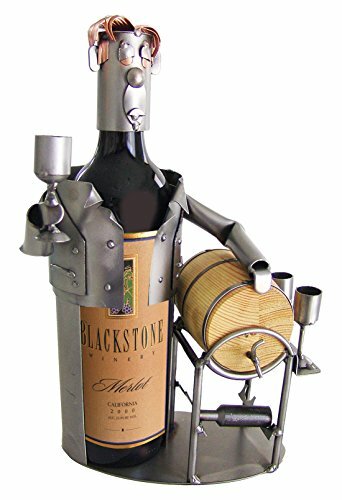 Why settle for an ordinary wine bottle holder to display your favorite wine? 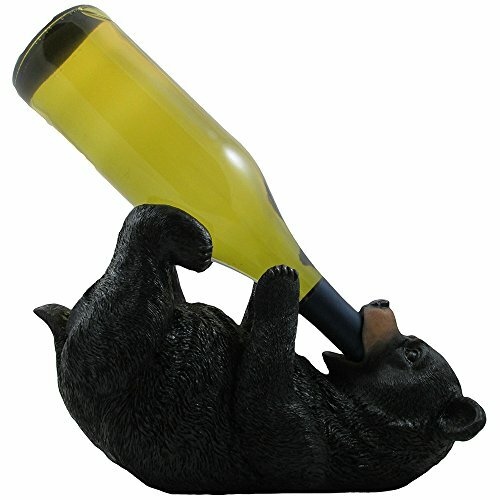 You don't have to as an intricately detailed black bear lies on his back taking in a bottle of your finest vintage. It's safe and sound with this menacing fellow around! A true conversation starter at your next party or family gathering. A great gift idea for any wine enthusiast on your Christmas shopping list. This cute blue kitty cat is up to no good! 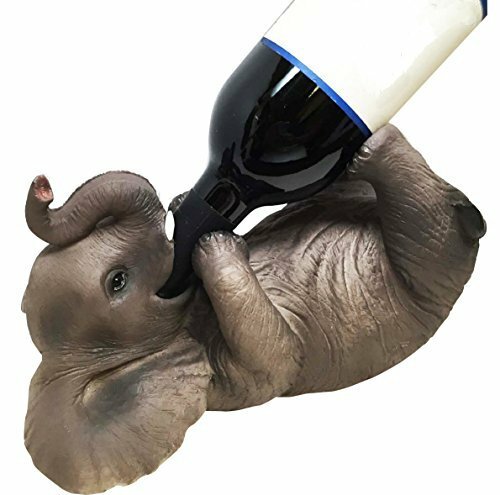 A clever way to pay tribute to the notorious curiosity of the kitten, this whimsical wine bottle holder is sure to be the center of attention at your next party or get-together! 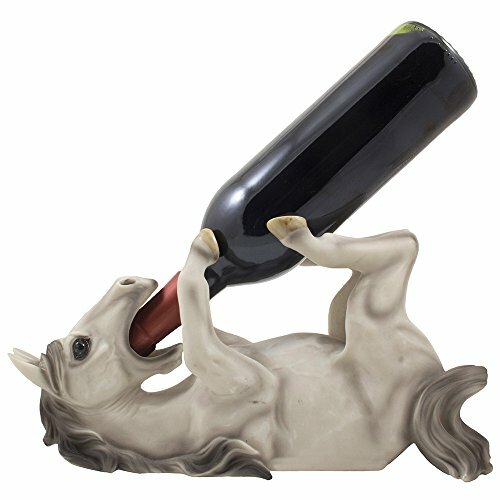 Makes a great holiday gift idea for pet owners and wine drinkers alike. This playful calico kitty cat is up to no good! 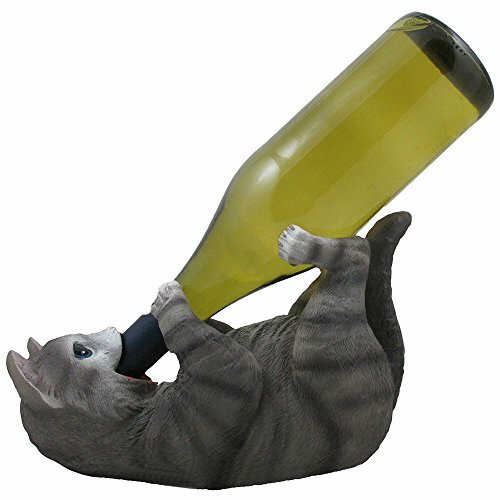 A delightfully witty homage to the renowned curiosity of the kitten, this decorative wine bottle holder is certain to get a few laughs at your next family gathering or party! 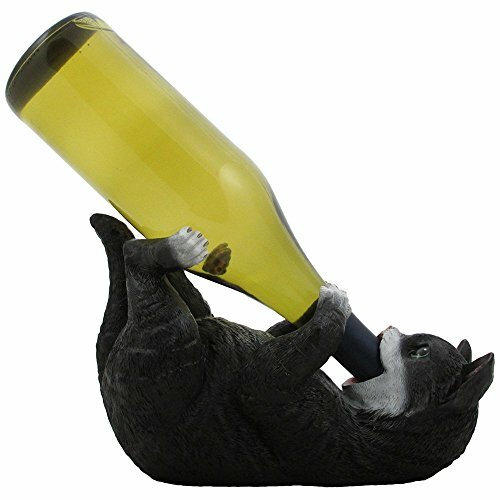 It would make a great gift idea for cat owners and wine lovers alike. This tabby kitty cat is up to no good! 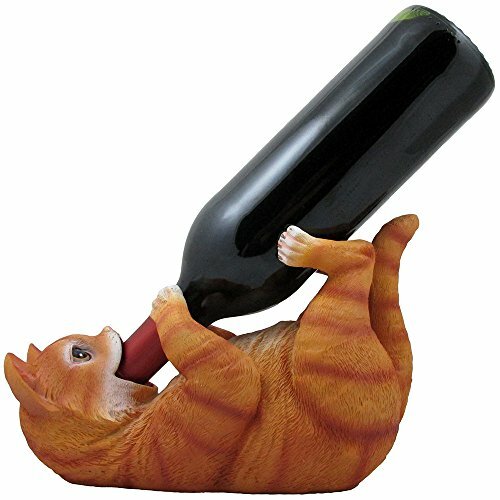 An astonishingly lighthearted tribute to the infamous curiosity of a cat, this playful kitten wine bottle holder will surely be the focus of attention at your next get-together or party! 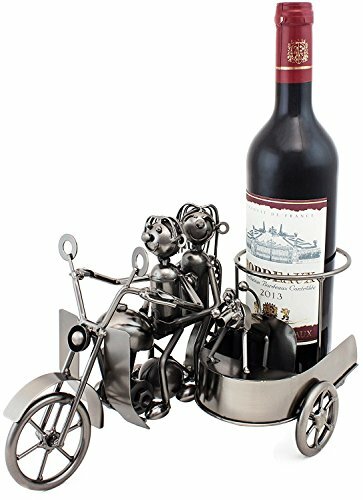 It would make a welcome gift idea for wine lovers and cat enthusiasts alike. This playful black and white kitty cat is up to no good! 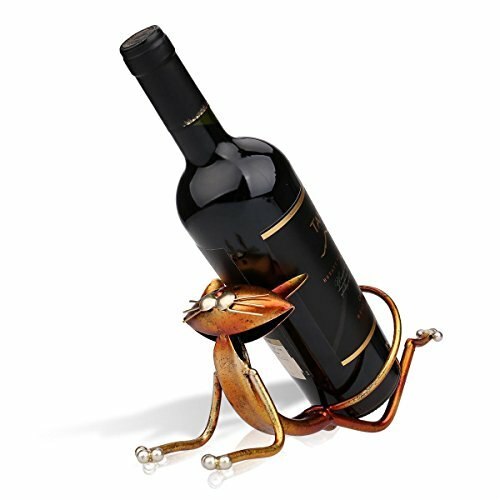 A wonderfully whimsical tribute to the legendary curiosity of the kitten, this decorative wine bottle holder is sure to bring a smile to everyone's face at your next party or gathering! 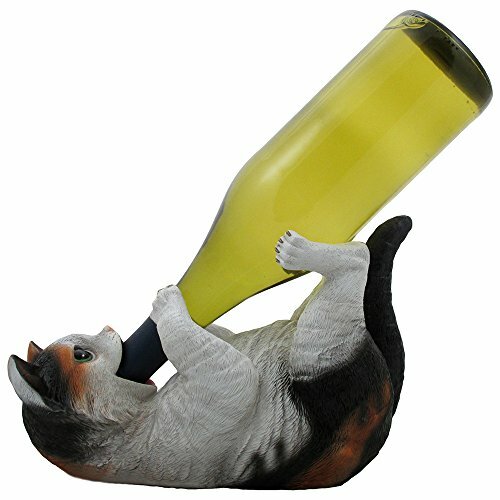 Makes a great Christmas gift idea for cat lovers and wine enthusiasts alike. HEIGHT 6.5" LENGTH 10.75" WIDTH 5.25"